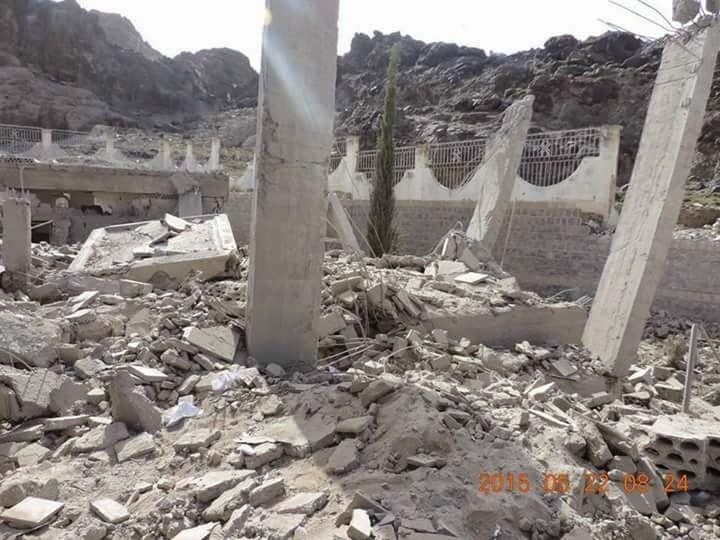 The Dhamar Regional Museum in Yemen, the main museum of the Dhamar governorate, was been destroyed in a Saudi airstrike last Thursday. The Museum, built in 2002, is the repository of all work done in the province. Together with the building, it is not clear how much of the collection of pre-Islamic antiquities, including a number of dedicatory stelae and also the material produced by the Chicago Oriental Institute’s work from 1978 onwards (see here too) have been lost. Some of the museum’s artefacts were recently digitalised by CASIS an EU-funded project. Saudi Arabia has been bombing Yemen in the last 62 days to bring its ally, fugitive president Mansour Hadi, back to power. The airstrikes have killed, at least, 3,912 Yemenis, according to FNA’s independent tally. According to a recent report by Freedom House Foundation, most of the victims of the deadly Al Saud campaign are civilians, including a large number of women and children. Thousands of residential buildings have been destroyed, and hundreds of civil and public facilities were reduced to rubble as a result of the bombardments by Saudi warplanes on the Yemeni cities and towns, the group said. The city of Dhamar, 100 km to the south of Sana’a, was one of the famous Arabic and Islamic culture and scientific centres in Yemen. For photos of the destruction, click here.